continue reading "Why Come to Wycombe?" When done well a Scotch pie can be both delicious and cheap. But when spending a pound or less on a hot pie it can be a bit hit and miss, there are probably more that are 'd’oh' than 'whoohoo'! But the search is well worth it as there are some bargains to be had. Simpsons of Stranraer is one of those establishments serving up great hot pies for just one pound. 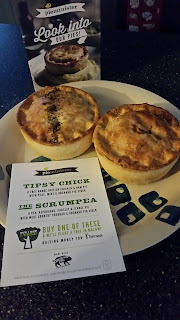 I paid them a visit recently as part of my quest to find out 'What Makes the Best Scotch Pie?'. I went to the Newton Stewart branch on a rainy afternoon to seek some shelter. 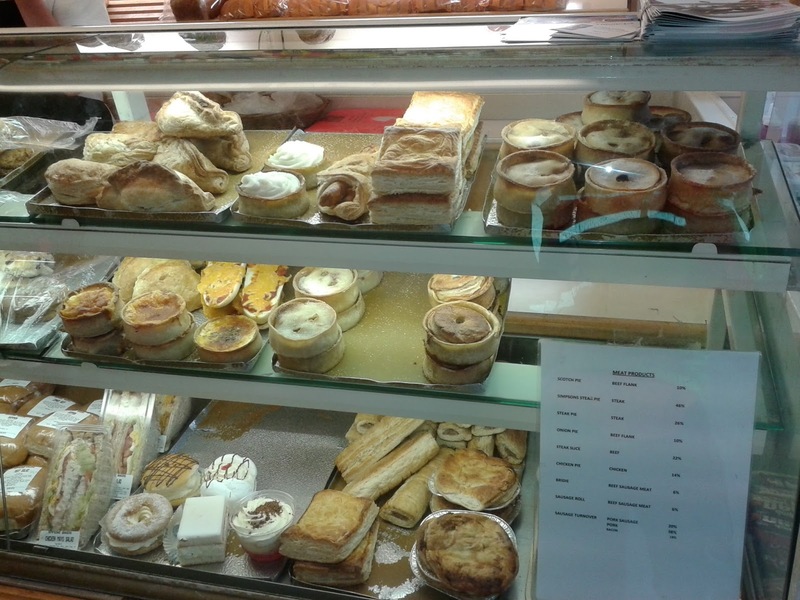 The display that greeted me warmed my spirits, a display of pies is the first thing you see as you come in the door. When I requested a Scotch Pie I was asked whether I wanted the onion version or the non-onion version. 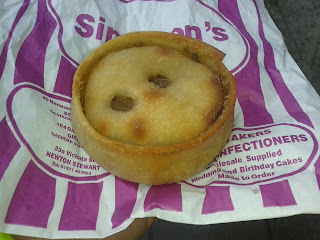 I have come across some Scotch pies with onion and some without but I haven’t normally found somewhere which does both. I opted for the onion version despite the potential for hallatosis. There are many ways that pies can help you make friends but smelling of onion is not one of them. However, when you have pies, who needs friends? This pie was a pretty good companion, it was just a shame that it didn’t last long. It was delicious and slipped down so well it was gone in moments. Condition – 5.70 out of 7 – A pleasing shape and such sharp edges, this was a pie in high definition, no wonky handmade malarkey here. I do prefer my pies not have such big holes in the top though! 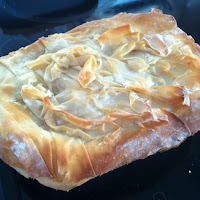 Colour – 5.60 out of 7 – A slightly flour-y outside gave this pie a matt effect, which is not normally what I look for in the ultimate pie but it still looked nice. 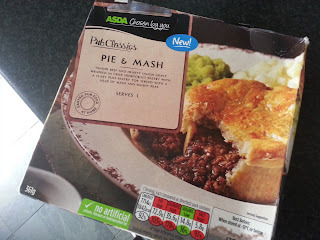 Cheapness – 6.70 out of 7 – For £1 this pie was absolutely packed with meaty contents. Given how cheap it was I was pleased to see a sign telling me it was 16% beef. I do wonder sometimes with these cheap pies if they bulk them up with some road kill. 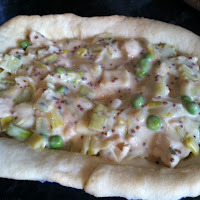 The meat didn’t look disgusting as it can do for other cheap pies (c.f. the Greggs Scotch Pie). 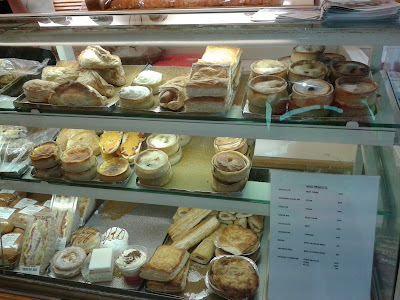 Capacity – 6.00 out of 7 – It was quite big for a Scotch pie and completely full. Chewiness – 5.50 out of 7 – The meat wasn’t at all chewy and slipped down really well. If anything it slipped down a bit too easy, it was all a bit too soft which is really the only criticism of this pie. The pastry rim was the only part that had a bit of crunch. Given that Scotch Pies use minced meat bulked out with starch it is difficult for them to obtain the satisfying texture that I would expect the ultimate pie to have. But, there is something about them which I love anyway! 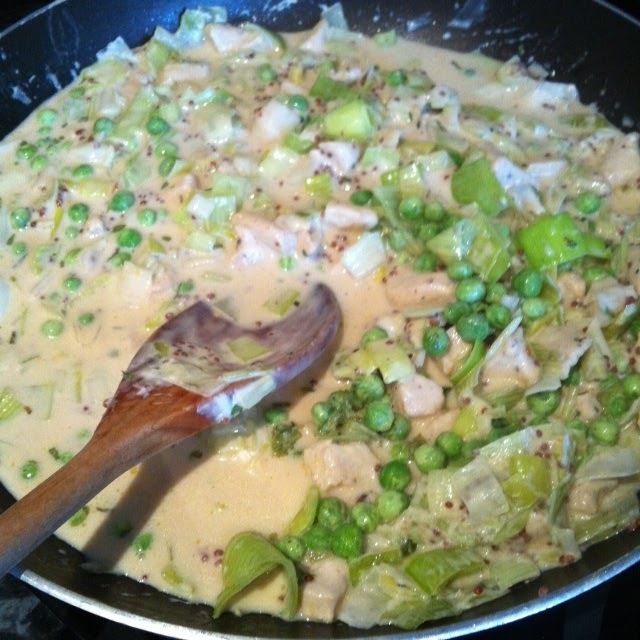 Content – 6.30 out of 7 – The filling didn’t have a lot of seasoning but it didn’t need it because it was full of flavour. It was nice that it wasn’t overly salty. The fatty, rich beef flavour and strong onion taste was reminiscence of a burger and fried onions which worked well for me, but of course if you don’t like onions then steer well clear! This was a pie so pungent if eaten in public then people will turn to see what their delicious/disgusting (delete as appropriate) smell is. Consistency – 6.40 out of 7 – Slipped down a treat, the fat made it really moist and whilst it didn’t have any gravy, the sign of a good pie was that I wouldn’t even bother pouring gravy on even if I did have some. 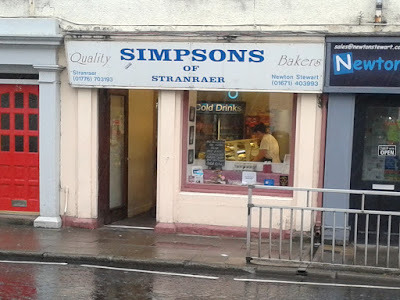 I just wish I had gone back to try some more of their pies! 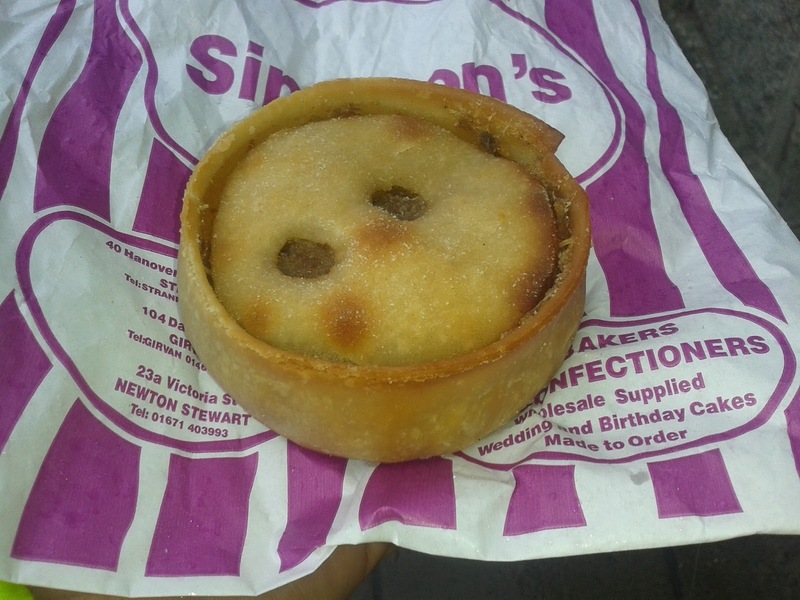 So good it currently occupies 2nd place in our all time ranking of Scotch pies! continue reading "Simpson's Pie is Excellent"
continue reading "Pierateers hit London for Food Blogger Connect (and pie!)" The time for Birmingham has finally arrived! Five years in the making - and many more in the planning - Birmingham New Street station and the shopping centre above it have finally opened there doors! 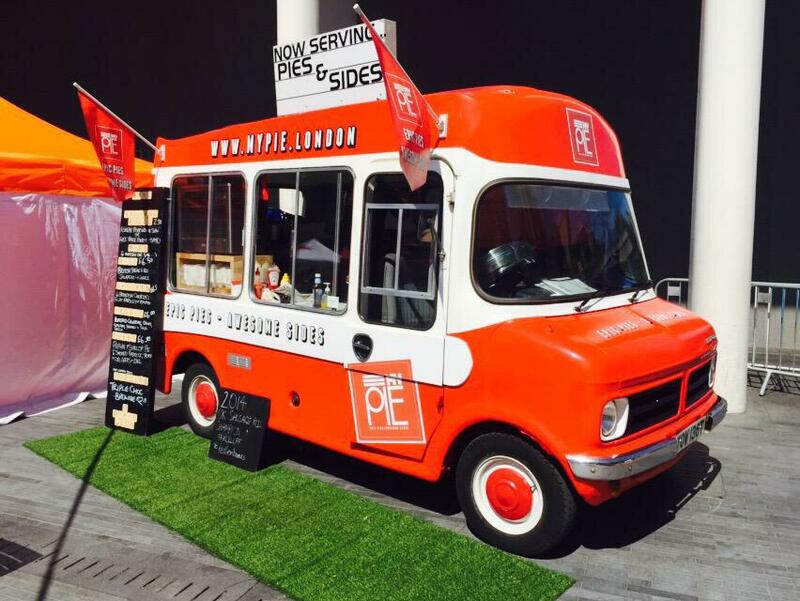 And the exciting news is that the Grand Central shopping centre has a pie shop at it's e-pie-centre! No longer do we have to pie-ne in Britain's second city for a pie shop to fill our cravings - following the sad closure of Urban Pie earlier this year - for Square Pie have opened in the city centre. And we're about to check it out, so follow the live blogging below! Before we check out the new Square Pie store in Birmingham's newest shopping centre Grand Central, the name Square Pie may ring a bell - and you'd be right! We've already rated their pies in their London Westfield Shopping Centre store and they rated pretty well! 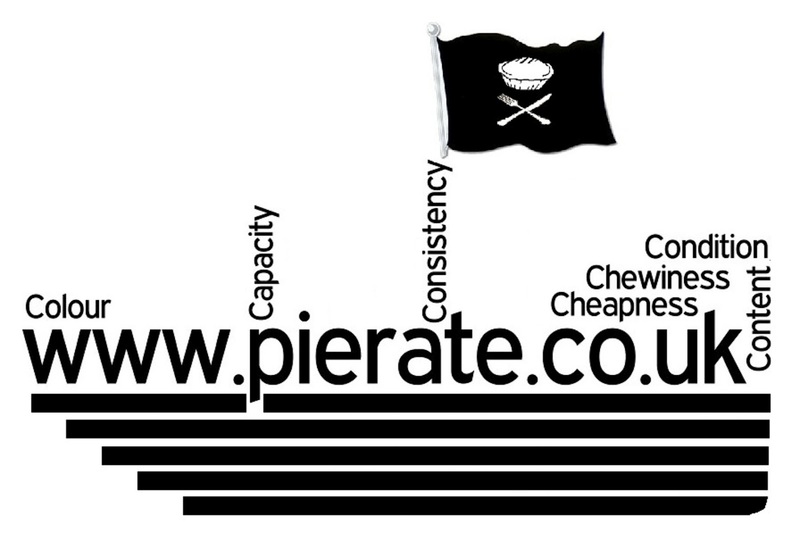 In fact, a number of them were Pierate Recommended as we celebrated eating our 100th rated pie there! 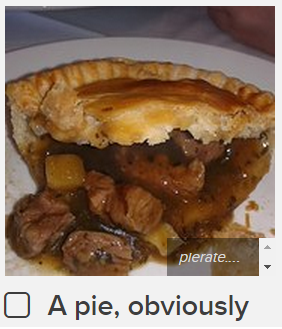 That celebratory 100th pie was actually rated back in 2012, and in 2013 we rated their Chicken, Leak and Wiltshire Ham pie at 5.58/7, which was another Pierate Recommended effort. 17:50 - I'll leave you with this photo of the Square Pies on offer - and treat you to more pie photos when I rate some next week!!! 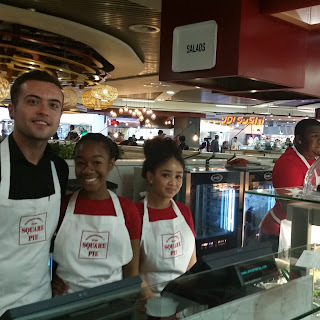 17:45 - The Square Pie launch has already been a real success - with queues of customers reported at lunchtime - and the staff very helpfully took me through their offerings. But the new World Cup flavours are what I'll have my eyes on next week! Check back on Pierate next week for our next Square Pie review! 17:35 - Birmingham food blogger Laura aka 'Full to the Brum' has asked what this Rugby World Cup pie-off Square Pie are doing is all about? Well I can announce that there will be some special pie flavours to enjoy from this Monday as the World Cup pie-off hits Birmingham! Some very quirky flavours in there - the full line up can be seen on the Square Pie website! 17:25 - Just had an interesting chat with the manager Anthony, who only got access to the restaurant on Monday! He's been trained up in Square Pie shops down in London and really looking forward to this start up in Birmingham! 17:15 - The Square Pie restaurant is in a large food area of Grand Central, with an open air feel to it so you really get the hustle and bustle of the shopping centre while you eat. However there are secluded spots to sit too! 17:05 - Up the escalator and into Birmingham's newest retail centre! And a great view across the concorse, it must be said! 16:50 - The excitement is building as the train edges nearer Birmingham New Street. I'm like a kid counting down the days til Christmas!!! 16:30 - Have to admit I was a bit nervous earlier when I read this Birmingham Mail article that not all the shops in Grand Central were open yet! Fortunately Square Pie weren't on the list! 16:20 - Where will this pie fit in with all the other top pies in Birmingham?! 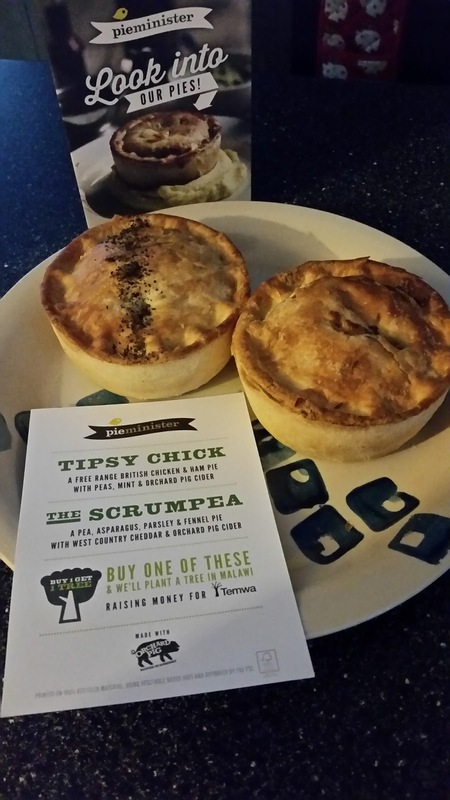 Check out our "Best Pies in Birmingham" article to find out the com-pie-tition! 16:15 - Just leaving the house ready to get a train into Birmingham New Street's new refurbished station. I caught a glimpse of the glass roof yesterday and it looked great! 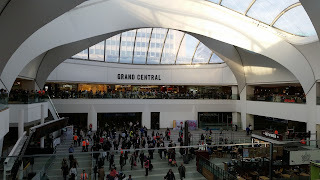 continue reading "Birmingham's Grand Central Opening: Square Pie Live Blogging"
It has to be said that supermarket pies rarely trouble the upper echelons of the Pierate Pie Rankings and there’s a few reasons for that. Firstly, they are mass produced, which often loses the pie marks for care and passion put into making them. They also often contain 20% meat or less, meaning their content and capacity scores take a right nosedive. Added to that is the generic, mass appeal flavours they tend to focus on to keep costs down. 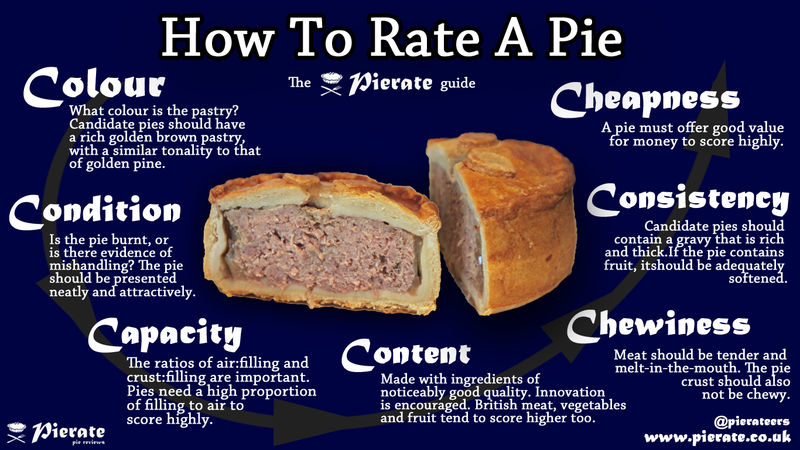 Which is why I’m delighted to have found a pie in Tesco that is both affordable, meaty and rates well on the 7 Cs of pie rating. Well done Tesco! You’ve done a proper job of your Slow Cooked Steak and Ale pie, featuring Proper Job ale. And at just £1.73 this is pretty much a steal! The flaky puff pastry was pretty much spot on, being a little pale on the sides but tasting very nice indeed. It easily passed the hand held test and didn’t crumble on eating. The slow cooked chunks of British steak were not at all fatty, instead tender and filling. The beef was a whopping 37%, which is almost as high as some of the artisan pies we’ve rated highly, and far higher than the typical 20% meat you find in a lot of supermarket pies. There was still a bit of an air gap, so capacity wasn’t perfect, but it left me nicely filled in a way a lot of supermarket pies don’t. The filling to pastry ratio was again pretty much spot on. 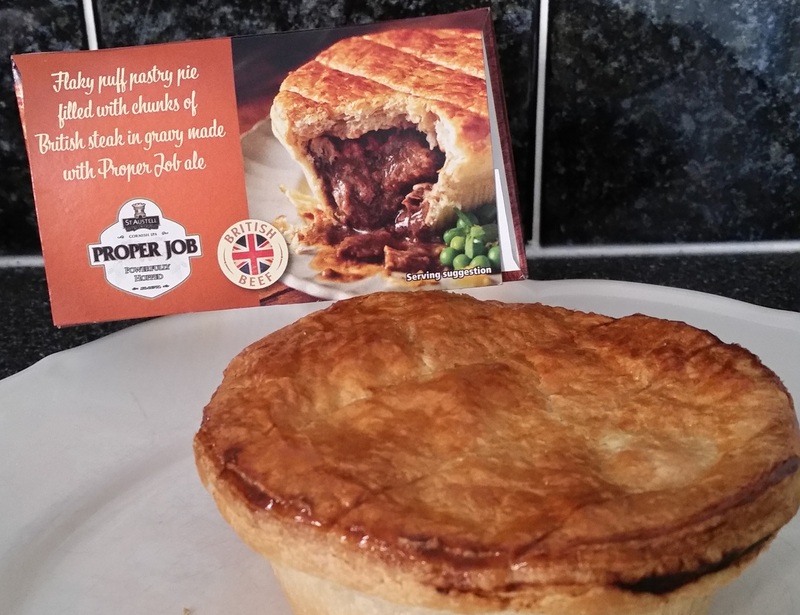 continue reading "Tesco have done a proper job with this top pie!" Ahoy there, me hearties! 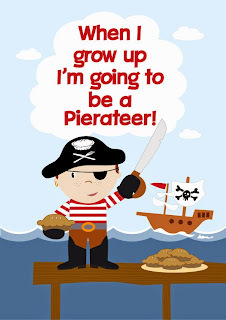 For those who are unaware, today is Talk Like a Pirate Day! Yes, that really does exist! And don't even try and arrrgue with me, or ye be walking the plank!!! For inspiration you can follow the hashtag #TalkLikeAPirateDay on Twitter and find out who's getting involved. Take for example CI Simon Nelson, who has already got in the Pirate mood by dressing up today! Mich made this wonderful Pirate design! 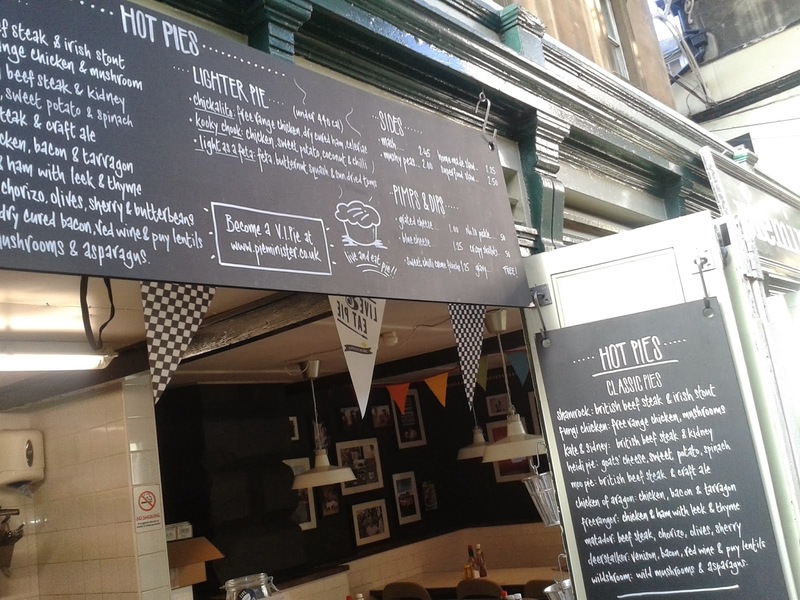 continue reading "Pierateers celebrate Talk Like A Pierate Day 2015"
Are you wondering what the best pie in Birmingham is? 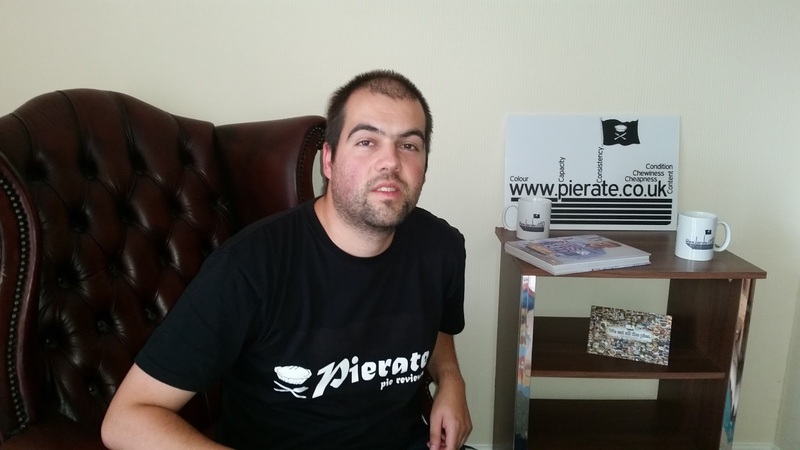 Well then, you've come to the right place - Pierate, the Pie Review Blog! With Pierateer Rob based in Birmingham for over 10 years now, we've reviewed quite a few pies in England's second city. 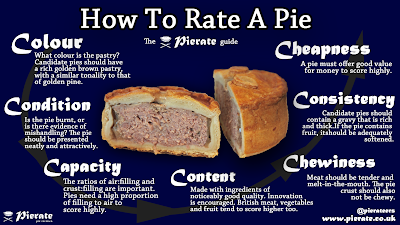 And while we admit there's still a lot of the little beige delights still tucked away in various shops, stalls and pubs around the city that we haven't got our hands on yet, we've rated loads of top Birmingham pies and our mission is to try and pie rate them all! One of our highest ranked pies thus far comes from the Jekyll and Hyde pub in central Birmingham. Their steak pie reached the dizzy heights of 6.45/7 on the seven Cs of pie rating a few years ago and they have consistently rated well with their "World of Pi(e)" offerings more recently. 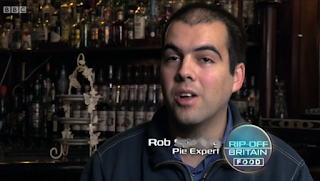 The Jekyll and Hyde pub also offered the great backdrop to Pierateer Rob's TV appearance on BBC One's Rip Off Britain. 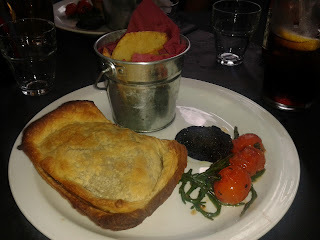 Right in the heart of Birmingham City Centre you will also find the beautifully decorated "The Botanist", which as you may expect from the name has a beautiful floral décor and some nice pies to boot! One of the nicest places I've eaten pie in! For a more historic location, you'll struggle to beat the Old Joint Stock, opposite Birmingham Cathedral. With a great range of pies on offer and a spectacular setting to eat them in, this Fuller's Pie and Ale House is certainly worth a visit. There are some exquisite top crust pies in The Junction Pub in Harborne - with some fully encased pies soon to be rated there! 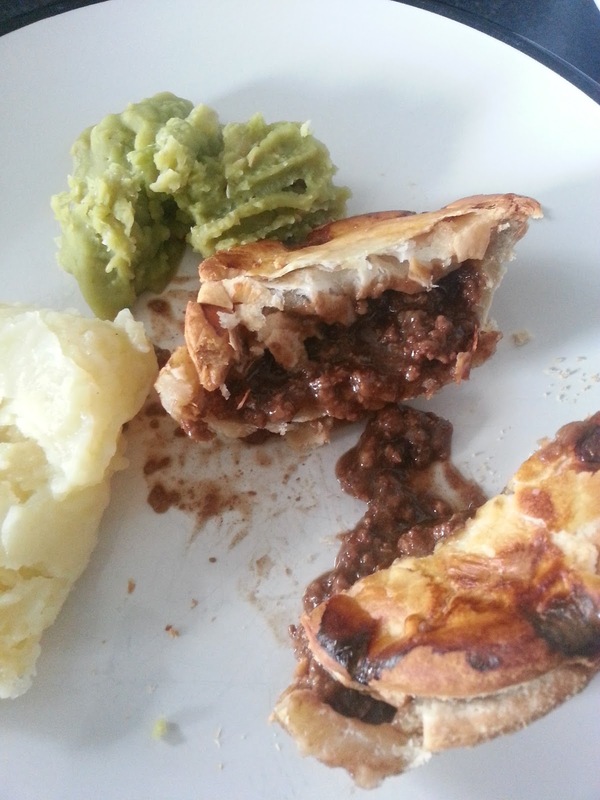 And we can't miss out some fabulous butcher's pies from Eric Lyons Ltd in Solihull which were Pierate Recommended. 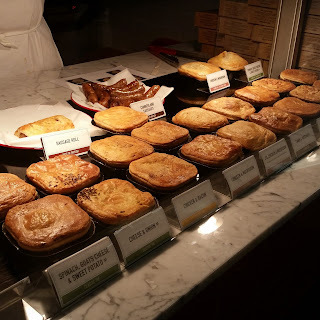 More recently we've rated some pies in the new Square Pie shop in the open plan restaurant area of the new Grand Central Shopping Centre, specifically as part of their "Rugby World Cup" pie range. Plus we've also Pierate Recommended the pies in The Stable - a new pizza, pie and cider restaurant in the city centre. There are also a number of pies we still have our eyes on in Birmingham, so look out for reviews from The Pie Factory in Tipton - which does unfortunately only do top crusts but are highly regarded - and from "Pietanic", who are a pie street vendor. We also can't write an article about pies in Birmingham without reference to the sad closure of "Urban Pie" in the Bullring, who once referred to us on their blog saying "Pie bloggers the Pierateers have been hit with Urban Pie fever - even the pie experts love our pies!" And don't forget we've already covered the best pies in London in more detail in our Best Pies in London Restaurants article, if you're ever popping down south! 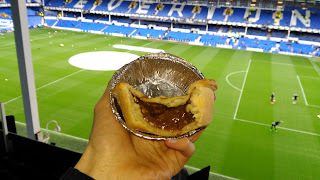 continue reading "Best pies in Birmingham"
continue reading "Pierate Pie Party Preview and Upcoming Events"
Yesterday I watched Everton outclass Chelsea to win 3-1 at Goodison Park in one of the most enjoyable matches I have seen in a while. I went with my Grandad to celebrate his 80th birthday. I wanted to take him to a Premier League match and this just happened to be one that I could get tickets to. It took me so long to organise it, it was almost his 81st birthday before we managed to go! 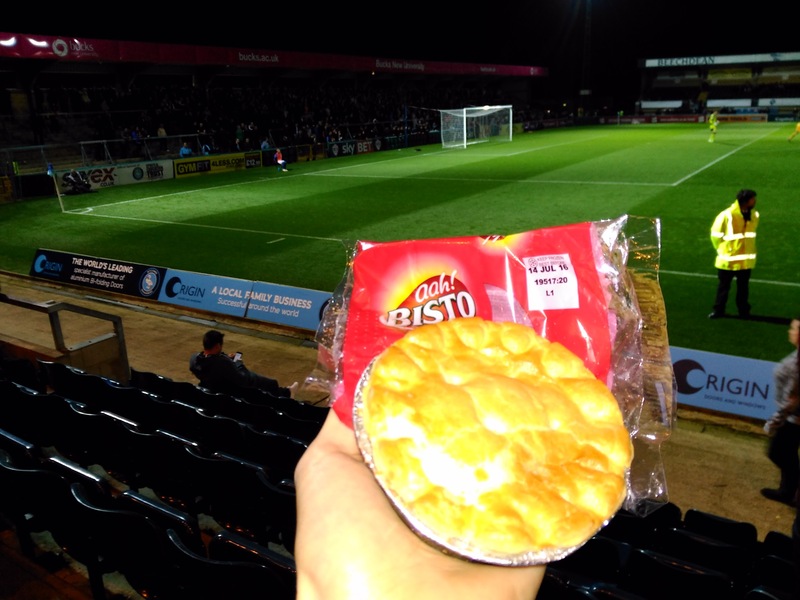 If you are a regular follower of the exploits in the PIEremiership, the Pierate Football Pie League, then you will know that we are primarily Wycombe Wanderers supporters. However, since I was young I have followed Chelsea as my ‘premier league team’. The days of an underachieving team with the likes of Gianfranco Zola were ones where I was very keen on following Chelsea. 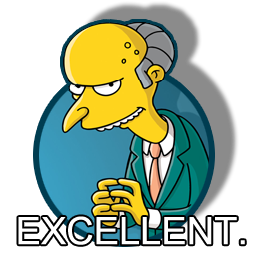 It is perhaps strange that now the team are much more successful in the Abramovich era that I don’t care so much. I enjoy watching a good Chelsea team but I am not so bothered whether they win or not. What I did not expect though was that in this game I found myself actually wanting Everton to win! They seemed to play with a lot more passion than Chelsea and I got swept up in the atmosphere of a packed Goodison Park which was revelling in how well their team were playing. The abuse aimed at Mourinho was particularly entertaining such as "Money can't buy you Stones" (to the tune of "Money Can't Buy You Love") and "You're getting sacked in the morning". We sat amongst the Everton fans in the Top Balcony which gave a great view of the pitch (albeit with a pillar in the way of some of it!) as well as across Stanley Park to where Anfield was visible on the other side. The old wooden seats are steeply tiered so it is unlikely a tall bloke in front will block your view. I strongly recommend a trip to Goodison Park, the stadium has plenty of character compared to many of the newer stadiums around and the atmosphere is great as nearly every seat seemed to be taken (mainly by season ticket holders). There wasn't much choice of food but this wasn't really important because I was only ever going to get a pie. 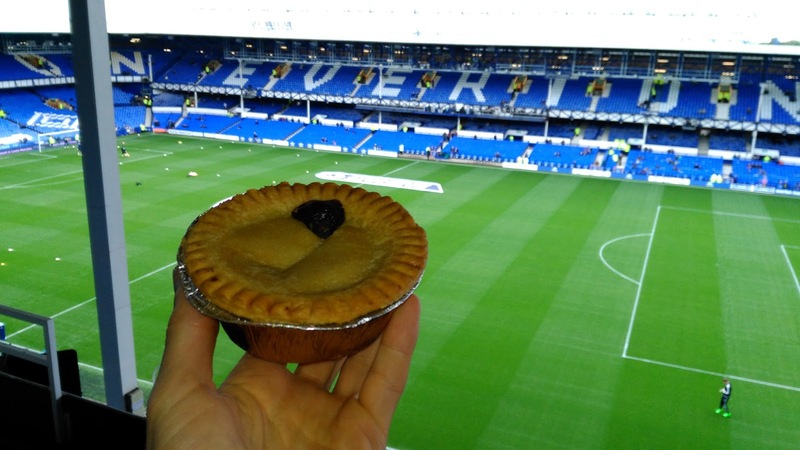 The Everton pies are made by local company Clayton Park Bakery who have a contract to supply Everton until the 2016/17 season. 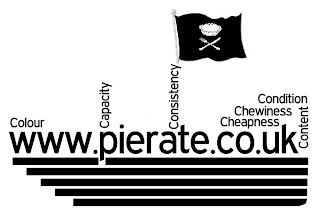 They have a wonderful website domain - www.pietastic.com - which indicates they are passionate about pies and supply a number of football clubs. After looking at their website I had high hopes that the pies might be good, at least they weren't just from one of the mass market producers such as Pukka. 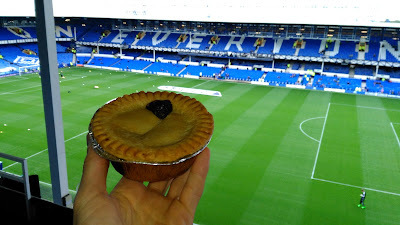 There is a choice of 3 pies with the Goodison Steak, Chicken & Gravy and Scouse Pie all making the line up at £3.20 each. I opted for the Goodison Steak pie in the hope that it would give the best chance of scoring well. Sinking my teeth into the pie it was good to see that there wasn’t really any empty space however it was almost entirely filled with gravy! I couldn’t find a single piece of nice steak, not even one! Looking at the ingredients confirmed that the filling of this pie was only 15% beef. Given that the filling was only about 50% of the pie, this gives it around 7.5% beef overall, which is bad even for a cheap supermarket pie. Absolutely shocking given that this pie cost £3.20, (even if this is a pretty standard price for a football ground pie). There were a few small lumps of something in the pie, but they didn’t really have the texture of beef, more like greasy potato. I suspected these were just lumps of fat. 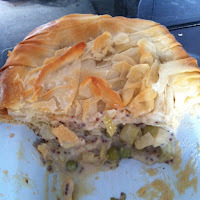 This is a shame as otherwise, the pie didn’t taste bad but for a steak pie such you need to have some pieces of steak! Condition – 4.0 out of 7 – This pie arrived wrapped in plastic, which always worries me. How can they heat the pie up properly whilst it is wrapped in plastic? Other than that the appearance was fine, if unexciting. It had an unusually large vent in the top and I am not sure if this was intentional or the filling had just escaped! 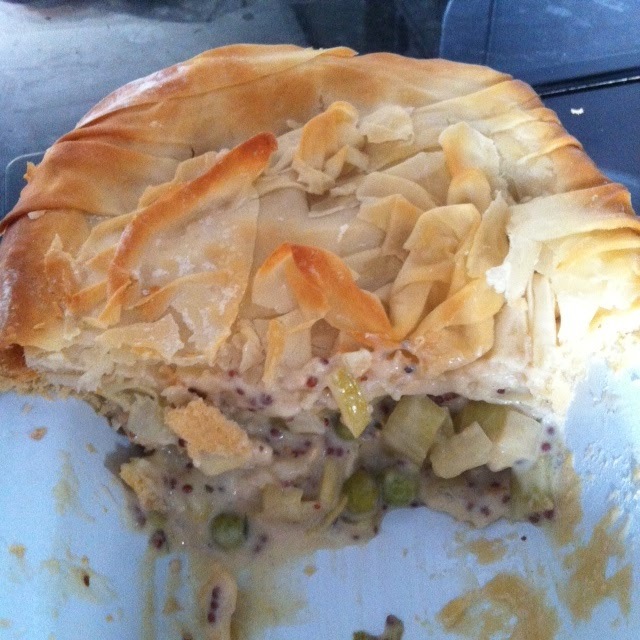 Colour – 3.0 out of 7 – I thought that the colour of this pie was a bit pale and it looked a bit like soggy and greasy rather than nice and crisp. 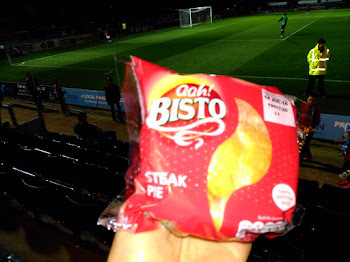 Cheapness – 3.5 out of 7 – Average for a pie from an English football ground but you don’t get a lot for your money with this one because of the lack of filling. Capacity – 4.5 out of 7 – This was one area where the pie scored fairly strongly. The shape gave it plenty of space for filling and there wasn’t any empty space at all. This is perhaps why some filling had escaped. There was a good pastry to filling ratio. 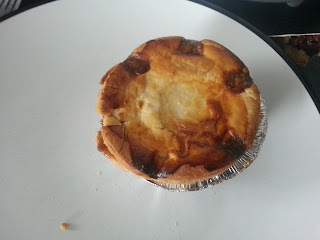 Chewiness – 3.7 out of 7 – There weren’t any chewy bits to this pie but it really did lack anything to get your teeth given that it was pretty much gravy. 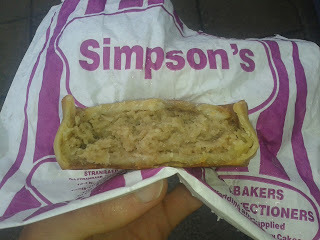 Even the pastry was a bit crumbly and stodgy and didn't have a great texture. Content – 4.0 out of 7 – The filling tasted fine, it was a nice steak and ale taste. There was a good amount of ale flavour and it wasn't overly salty. It may have been marketed as ‘Goodison Steak’ but there was nothing unique to Everton about the flavour, the packet simply identified it as Steak & Cumberland Ale. I suspect the same pie is sold in many other places by Clayton Park Bakery. 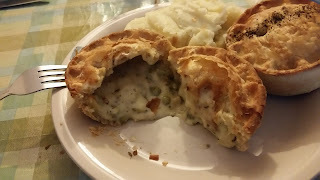 The pastry was a bit doughy and seemed like it hadn’t been cooked properly (a bit like the Phat Pasty pies we have had at Portsmouth and Wycombe). 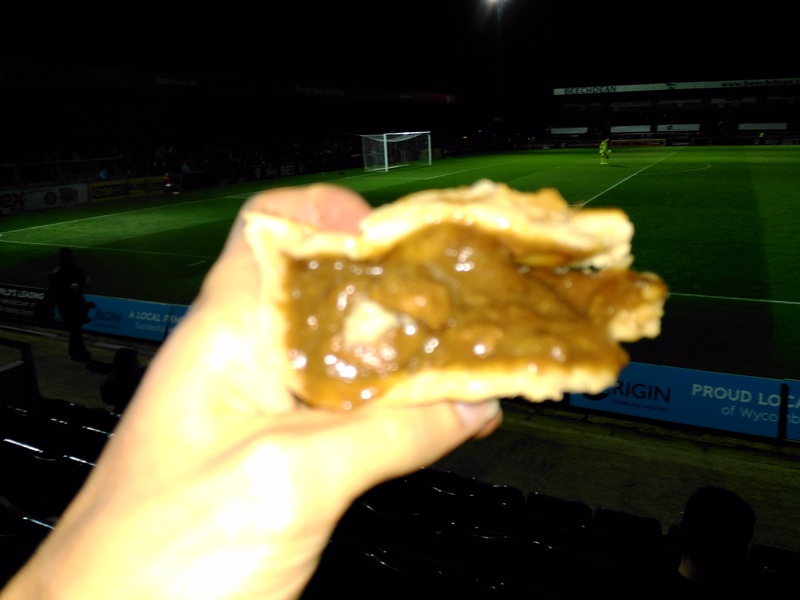 This is often a problem with football pies where a large number need to be cooked at once. 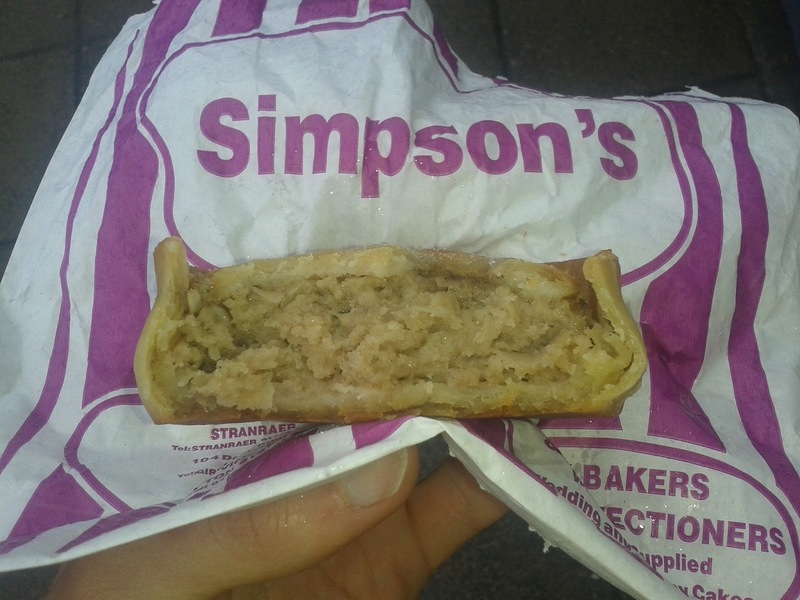 Consistency – 3.5 out of 7 – Whilst it didn’t taste bad, I would certainly try the other pies on offer rather than having this one again. It had a much too liquid and stodgy consistency. Sadly, it will come in not far above the relegation zone of the PIEremiership after an inconsistent performance. 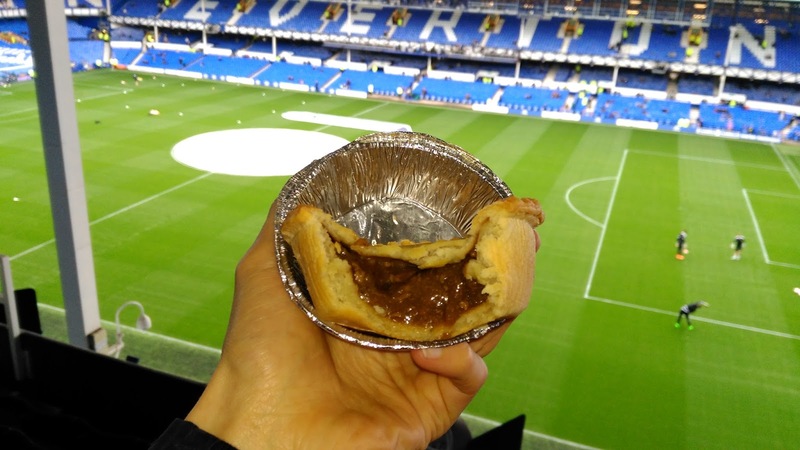 continue reading "It’s Goodison, But Not Good Enough"
continue reading "Pieminister Summer Pies Range"
continue reading "Has ASDA served up an absolute classic?" 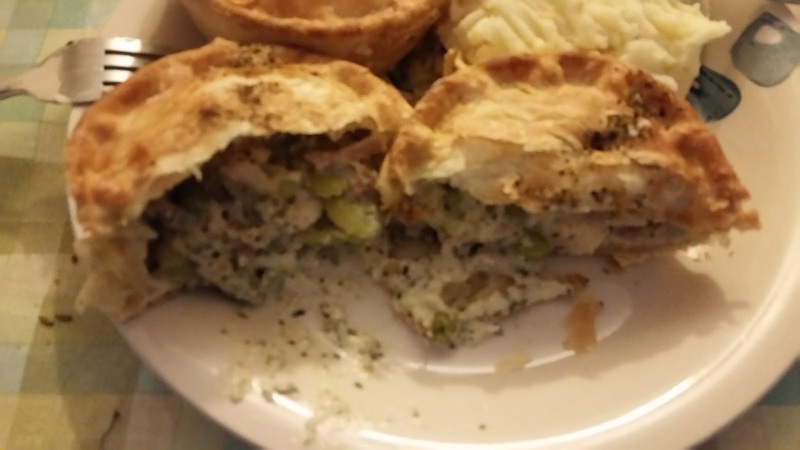 continue reading "Reci-pie Review: Sainsbury's Chicken and Leek Pie"
continue reading "Pierate are pie advisers to National Newspaper's Pie Search"
continue reading "#GrillAPierateer: Your 10 pie questions answered!"